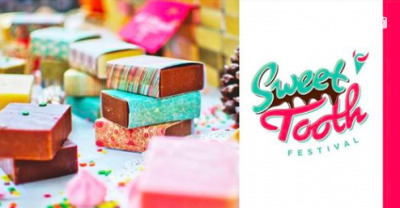 INTRODUCING BUFFALO SWEET TOOTH FESTIVAL hosted by Step Out Buffalo and The Cheesecake Guy! The sweetest day of the year is happening Sunday, March 31, 2019 as Western New York's best dessert makers and sweet shops come together under one roof for the ultimate dessert competition. A portion of all proceeds will benefit the Leukemia and Lymphoma Society. Picture it: Every sweet and treat you can imagine inside one of Buffalo's most beautiful buildings, the Hotel Lafayette, for your indulging pleasure. Taste the best delectable treats from across WNY, enjoy a Bubbly-Bar and candy-inspired cocktails, eat your heart out at the taco bar (because tacos), and so much more. Want to try them all? Only 500 Judge tickets will be available for those who want to try bite-sized samples from each dessert vendor (don't worry, you'll also get a take-home box for treats you don't finish), then vote on their favorites. Judges will get a tasting wristband and tasting and voting tickets. Anyone who wants to to participate as a judge must purchase a Judge ticket. There will also be General Admission feasting tickets available for those who want to come to the event and purchase desserts and sweets from the vendors “like normal”. That way you decide which (and how many!) sweet treats you consume! And kids 12 and younger are free. JUDGE TICKETS: ($30) Includes admission to the event, bite-sized samples from each participating dessert vendor, and the chance to vote for Best Overall Dessert, Best Buffalo Dessert, and Most Creative Dessert. **All ticket types are limited** Tickets are first-purchased, first-served. Meaning, having a Judge's ticket secures your access to tastings, and you may arrive at any time. And once we sell out, we're out!